Nick's Parents, Nigel and Gill. 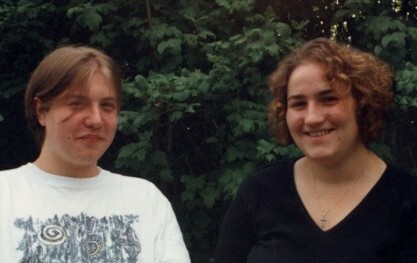 This photo was taken in summer 1999. Nick was always happy and relaxed at home, able to be himself, and (most of the time!) got on well with his family. 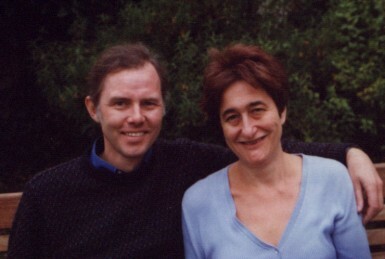 Nick and Jo, also taken in summer 1999.  This is a photo of Nick and me. I have always thought that we were unsually close for brother and sister. We often went out together to the cinema or on walks or stayed up talking till late. In 1995 we created a website together. A lot of Nick's humour is evident on this site. This photo was taken when Nick was about 12. 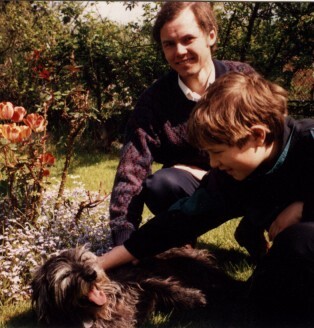 Nick adored our dog, Cyril, who died at the ripe old age of 17 in 1996. (from left to right) Jonathan, Jeremy, Charlie, Tisha, Nick. 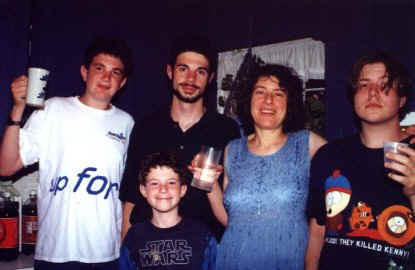 Taken in America, summer 1999 on holiday staying with his aunt and cousins. Nick got on extremely well with all of his cousins and Tisha, his aunt. Some of his happiest times were spent in their house in New Jersey. Despite the long distance separating us we have always seen them at least once a year, and often more.